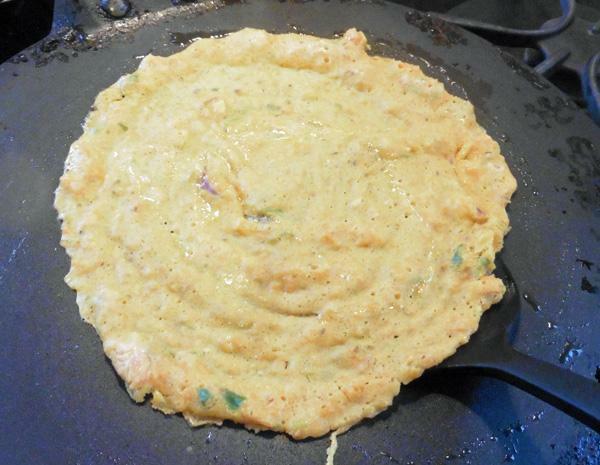 Besan Chilla is a popular, quick snack in northern India. 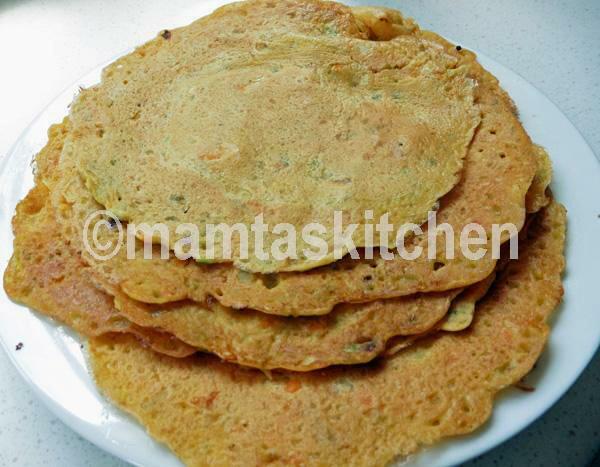 I often make it for lunch, served with Lassi or Cold Coffee in Summer and hot Tea-Chai in winters. 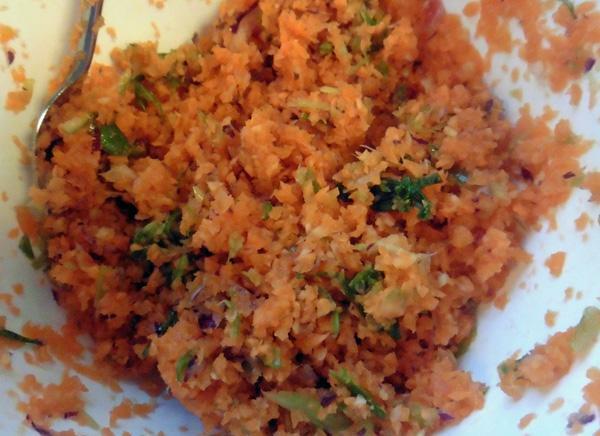 Here, I have added finely chopped carrots and spring onions to the batter. Other vegetables like grated potatoes, cabbage, bottle gourd, tinda gourd, onions, cauliflower etc. can also be added instead. 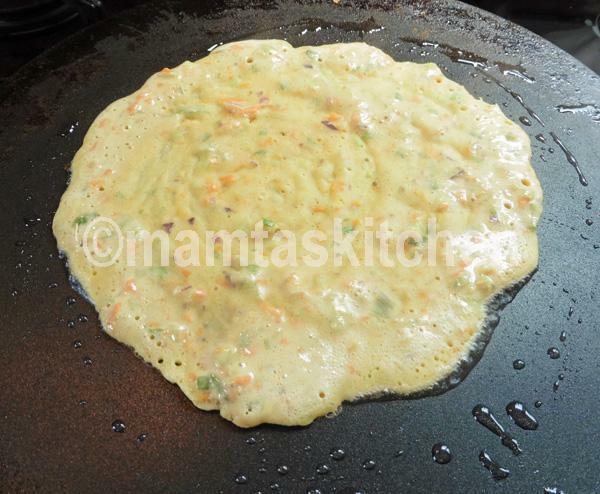 Look for other Chilla recipes on this website. Makes 8 (numbers depend upon the size you make. 2 - spring onions (1 cup chopped). Top and tail carrots and clean spring onions. Chop them very finely. I do this in my electric chopper, being careful not to puree them. 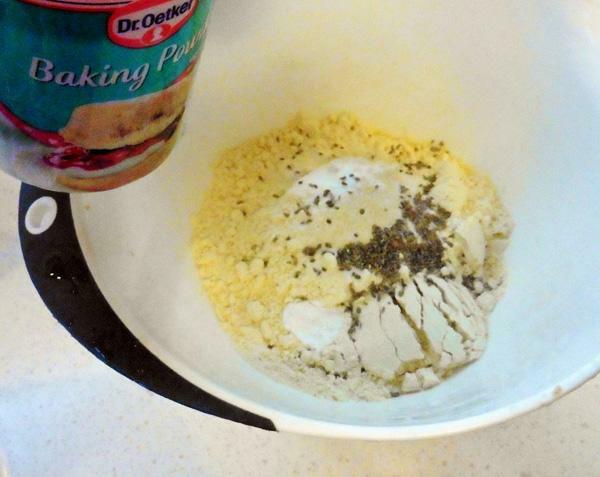 Place besan/chickpea flour and all dry ingredients in a large bowl. 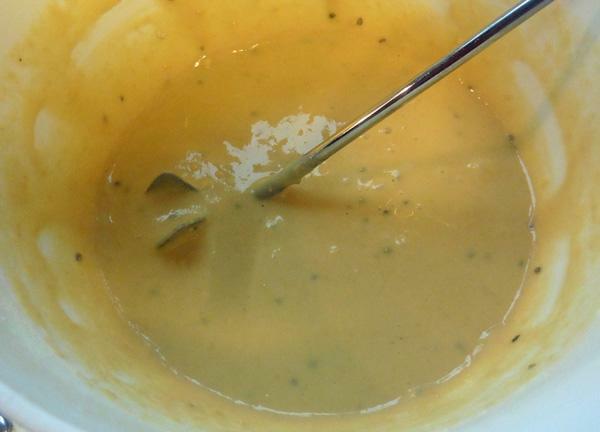 Add sufficient water, a little at a time, while beating gently, to get a smooth batter of thick, custard like consistency. Adding vegetables will it make it a little thinner, so don't add too much water at this stage. 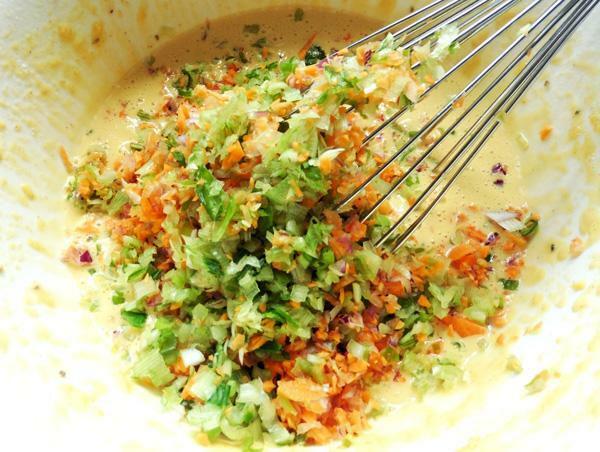 Add vegetables and gently fold them in. The batter should be thin enough for you to be able to spread pancakes on a pan. So add more water if necessary. 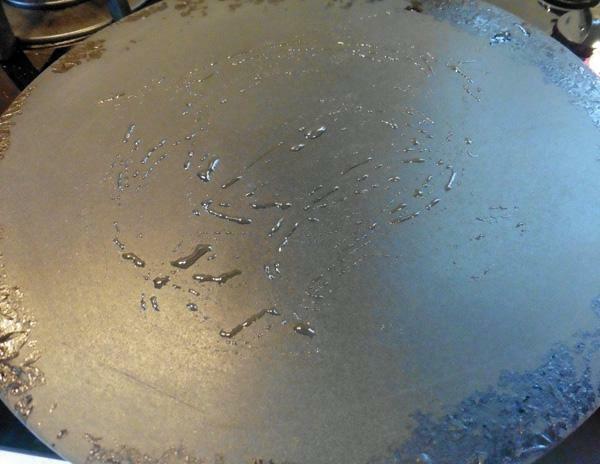 Heat a griddle, add 1 tsp. oil. 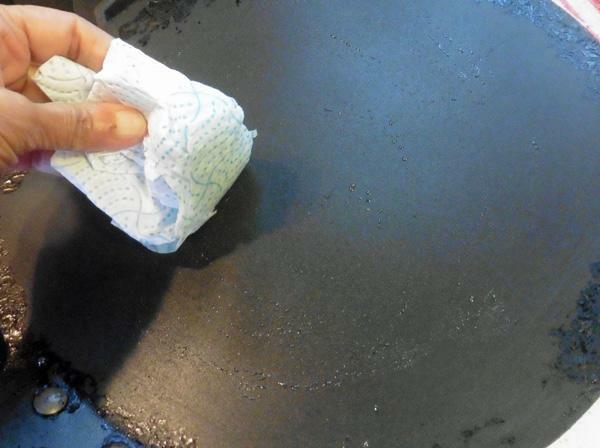 Spread it with a spoon and then wipe it gently with a wet kitchen paper, leaving a thin oily film behind. 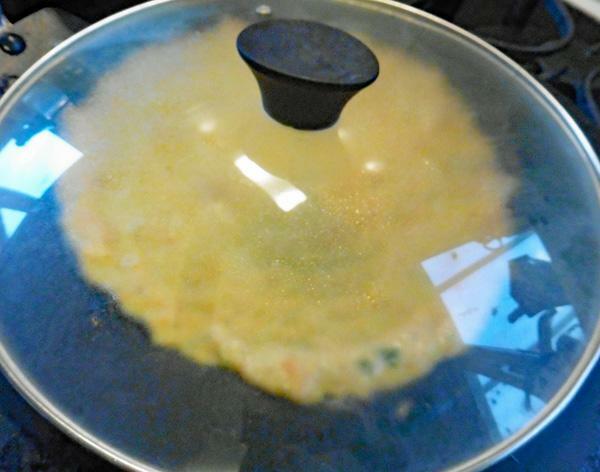 This will stop chillas from sticking to the pan..
Pour a small ladle full of batter in the centre of the pan and spread it with outwards circular motions, until you have a thin pancake. Pour 1 tsp. oil from around the edges and a few drops on top. Cook for a couple of minutes. Gently ease it off using a flat spatula and flip it over. Cook for 2-3 minutes on each side, until brown spot begin to appear on one side and the whole surface looks golden brown on the other side. It should be slightly crisp. Serve straight away, with chilled natural yoghurt and a pickle of choice. 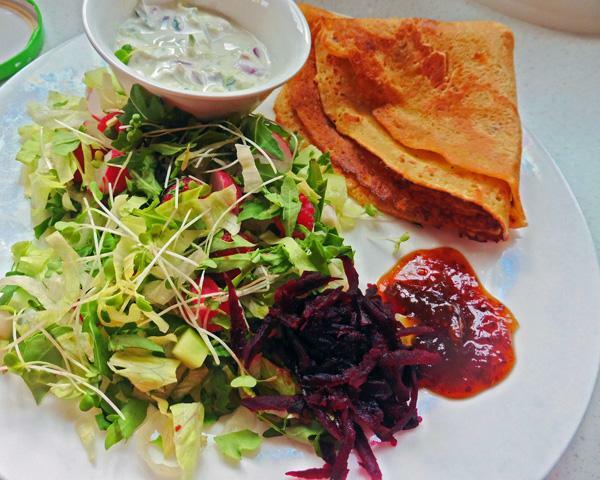 Serve with some pickles, yoghurt and some chutney of choice. 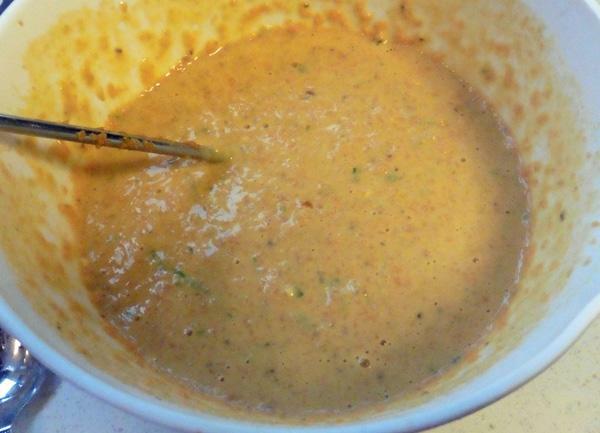 Besan/chickpea flour always makes you thirsty, so yoghurt always goes well with it.